Win a polo of your choice! 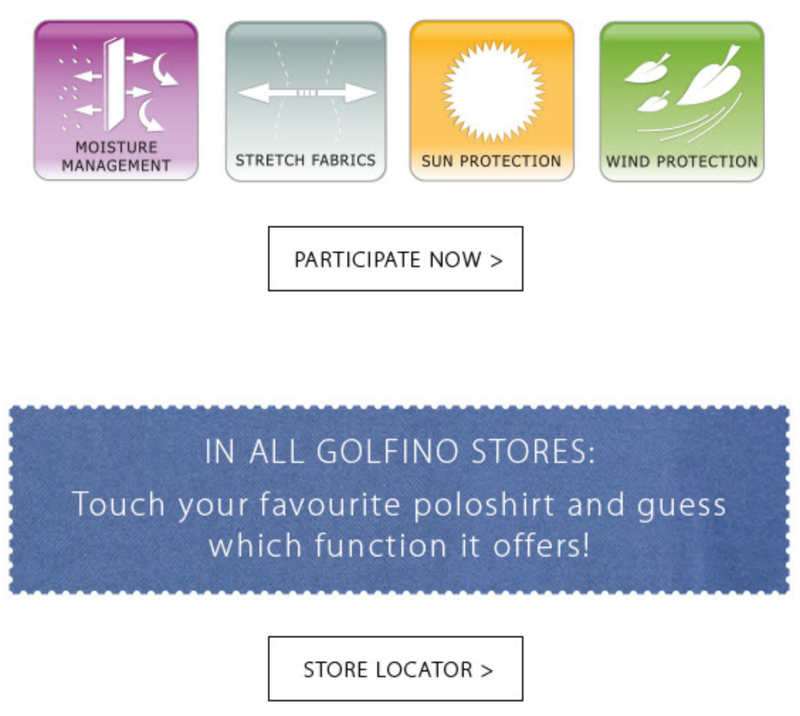 Choose the right function and win 1 of 100 vouchers for a poloshirt of your choice! Golfino poloshirts feature a number of functions including moisture management, stretch fabrics, sun protection , and wind protection. Find out more from the links below.